We’ve proudly presented Newton Abbot’s Under 9’s squad of keen rugby players with a new winning kit! 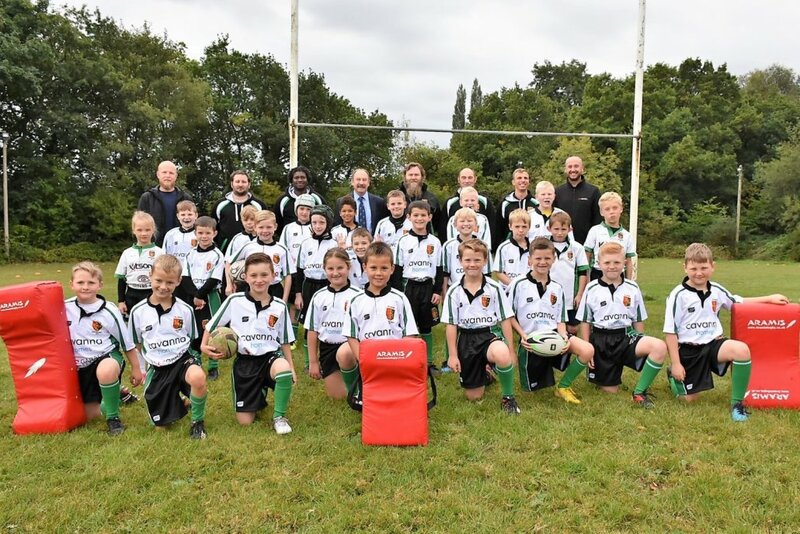 The Under 9’s rugby team, known as the ‘All Whites’ are starting their first year of contact rugby, and to give them the best foot forward, we’ve presented the team with a brand-new kit and professional training equipment. Supporting our local communities is very important to us, and when the opportunity to sponsor the Newton About under 9 rugby squad came up, we were more than happy to help. We hope the provision of extra training equipment will help the team get off to a flying start! 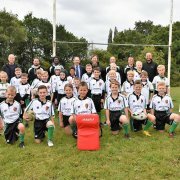 The ‘All Whites’ Under 9’s team recently spent the morning training with the Exeter Chiefs coaches and non-selected players on the Chiefs’ match against Munster in the Heineken Cup. The team were also invited to do the Guard of Honour for the Exeter Chiefs at the start of the game and a lap of honour at half time, allowing the team to showcase their new kit to an audience of avid rugby fans. Work has now started at our forthcoming development of new homes in Newton Abbot, known as Cavanna @ Wolborough Hill. This new community will feature 26 high quality homes consisting of 3, 4 and 5-bedroom properties, with our first ever self-build plot. More information is to be released soon, with first homes expected to be ready to move into in Spring 2019. For further information please call us on 01803 618678.